The Atlanta Poker Club is proud to announce the brand new Century Club! 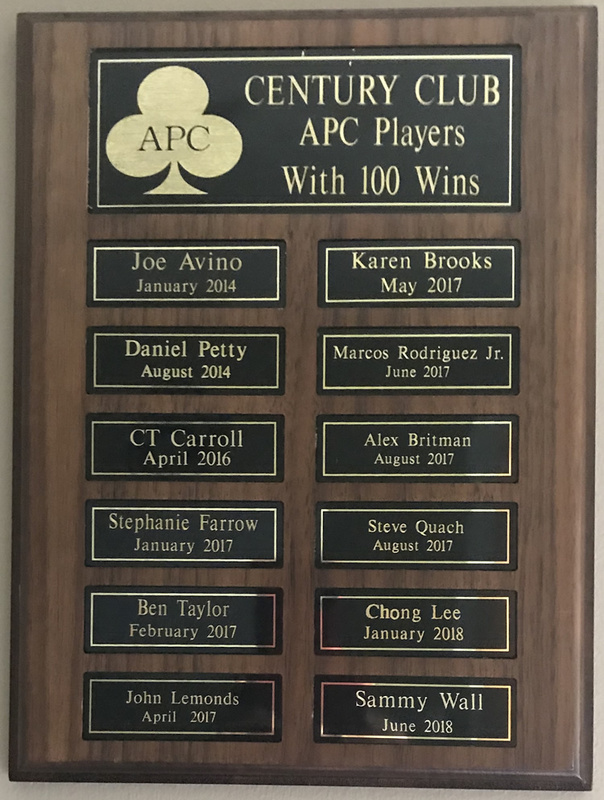 The APC Century Club is designed to reward those prestigious members who have earned 100 lifetime wins with the Atlanta Poker Club. 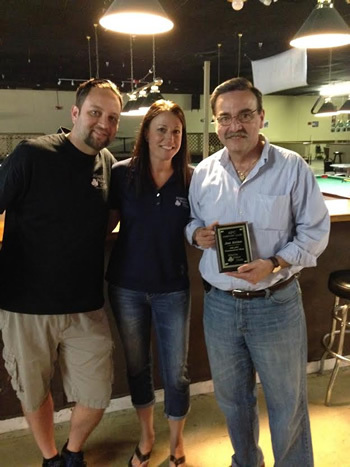 Joe Avino – 1st APC Member Inducted into the APC Century Club. Earned in January of 2014. Joe also earned 100 thousand points on May 1st, 2014 reaching another historic milestone. 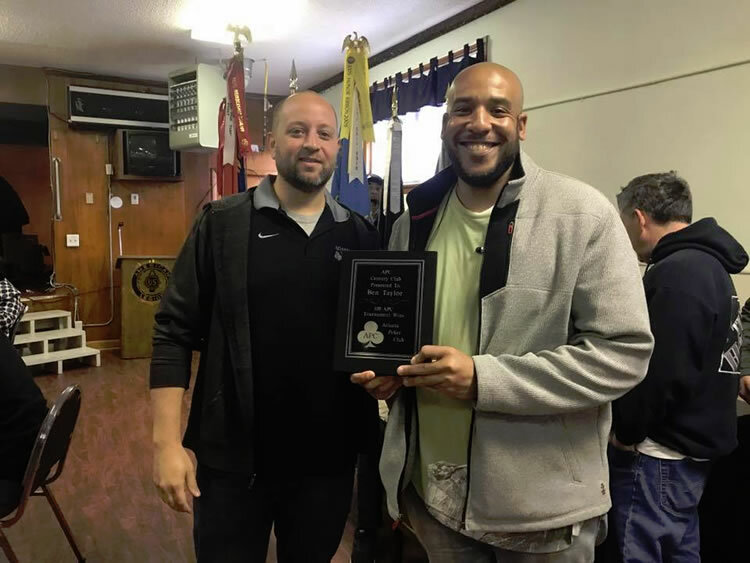 Daniel Petty – 2nd APC Member Inducted into the APC Century Club. Earned in August of 2014. 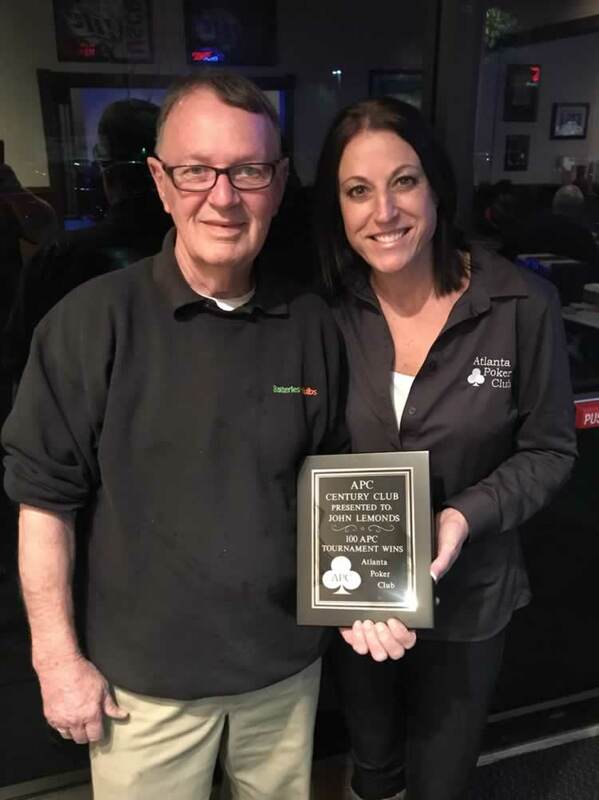 CT Carrol – 3rd APC Member Inducted into the APC Century Club. Earned in April of 2016. 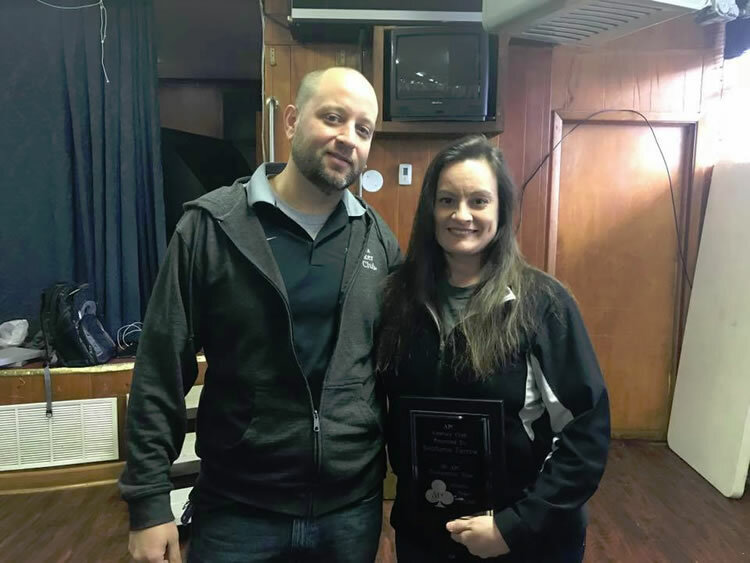 Stephanie “Iceberg” Farrow – 4th APC Member Inducted into the APC Century Club. Earned in January of 2017. 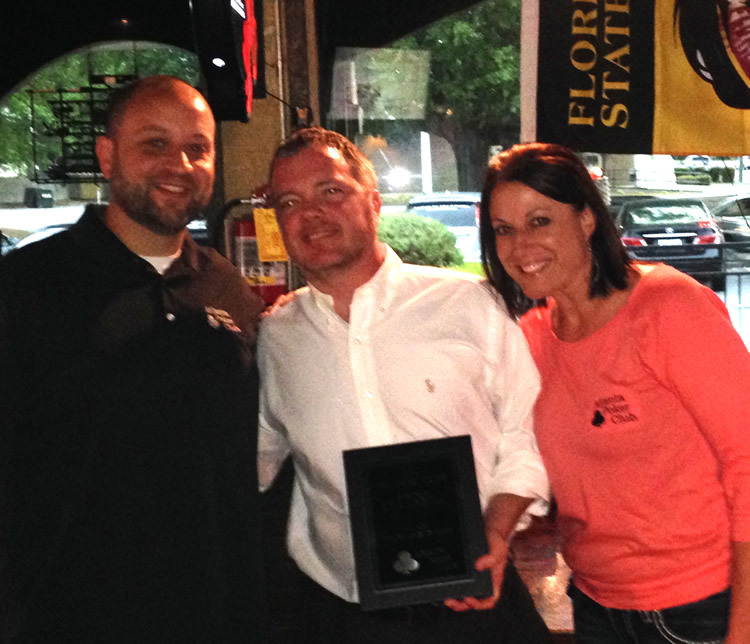 Ben Taylor – 5th APC Member Inducted into the APC Century Club. Earned in February of 2017. 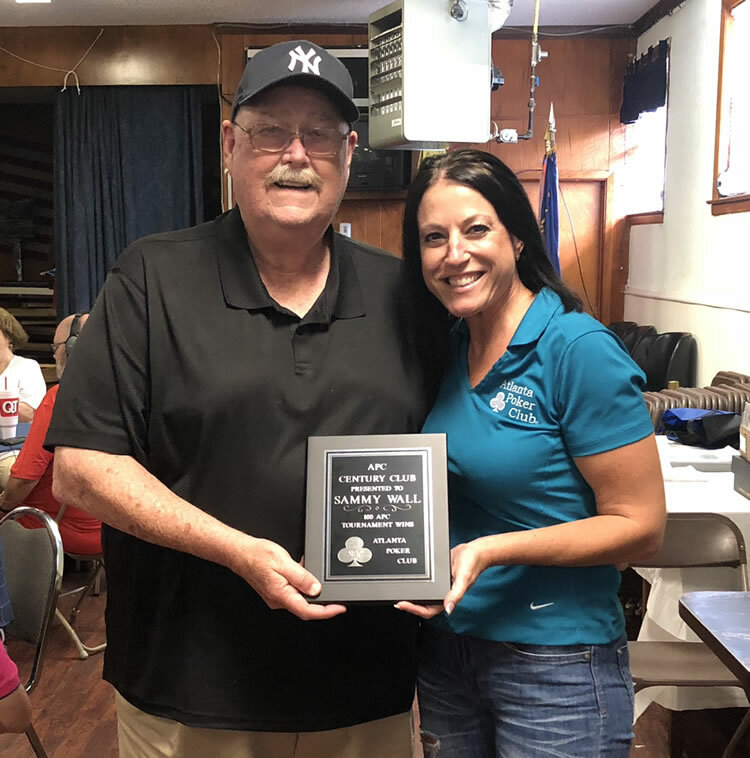 John Lemonds – 6th APC Member Inducted into the APC Century Club. . Earned in April of 2017. 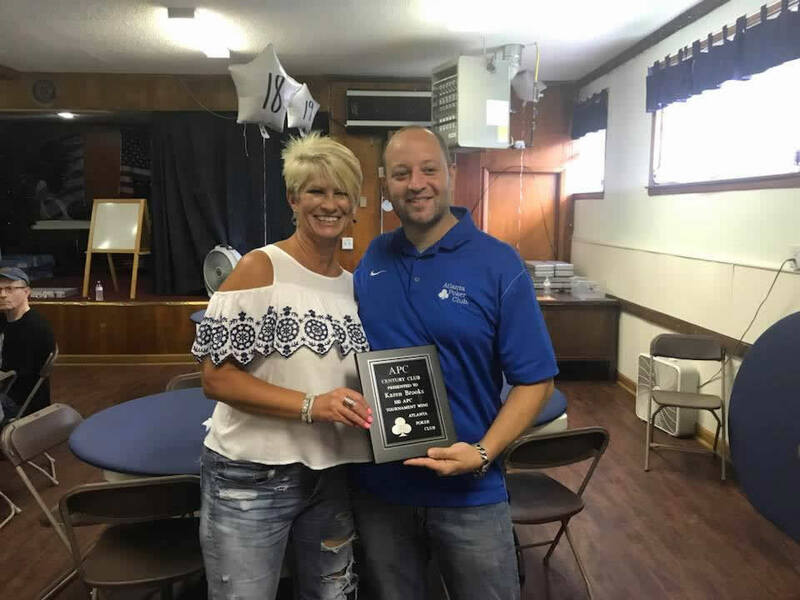 Karen Brooks – 7th APC Member Inducted into the APC Century Club. Earned in May of 2017. 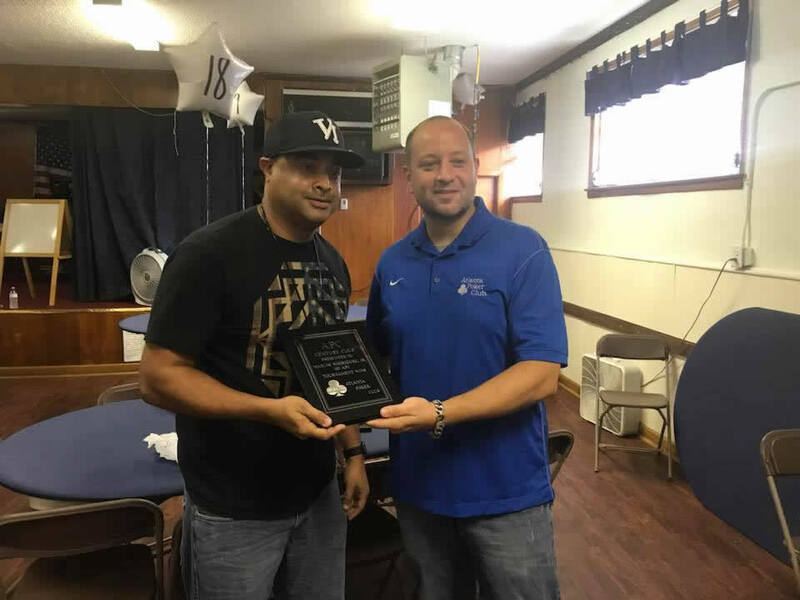 Marcos Rodriguez Jr – 8th APC Member Inducted into the APC Century Club. Earned in June of 2017. 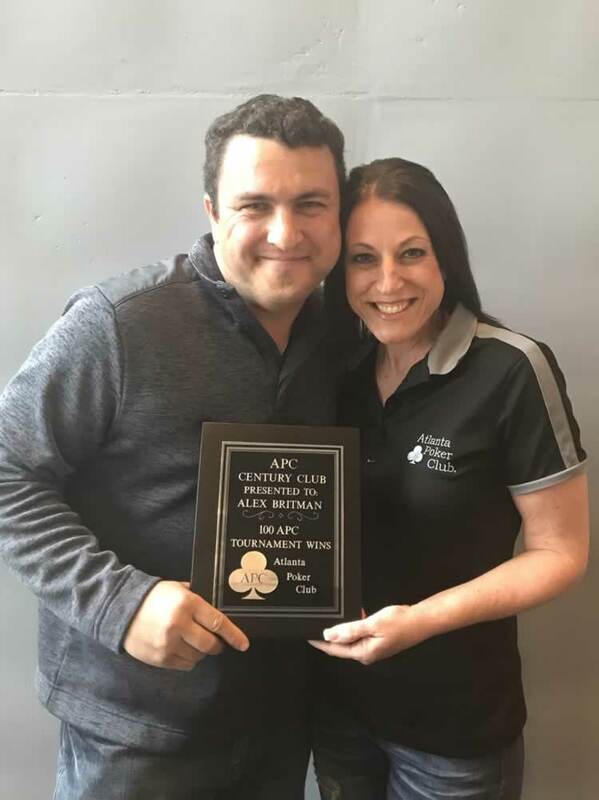 Alex Britman – 9th APC Member Inducted into the APC Century Club. Earned in August of 2017. 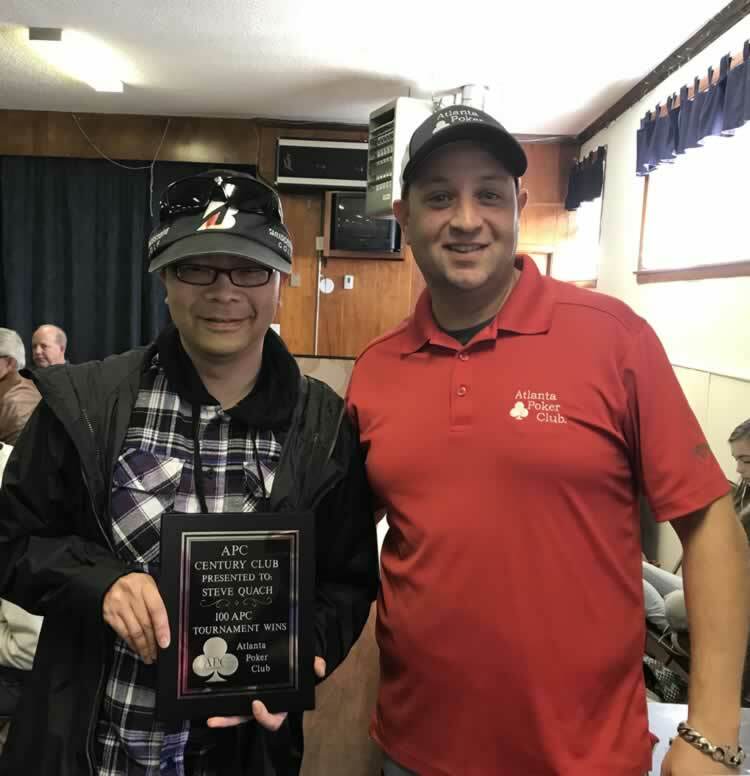 Steve Quach – 10th APC Member Inducted into the APC Century Club. Earned in August 2017. 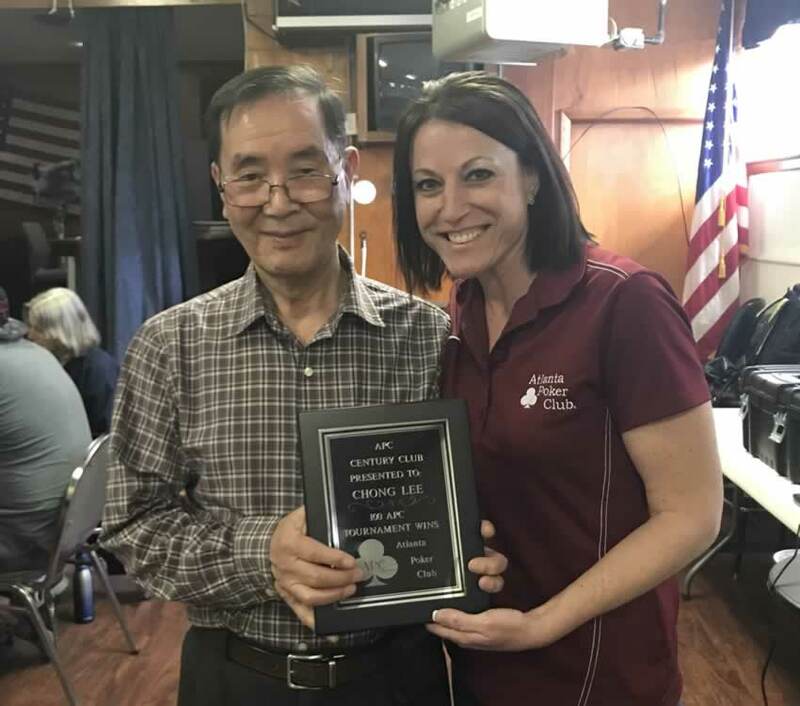 Chong Lee – 11th APC Member Inducted into the APC Century Club. Earned in January 2018. 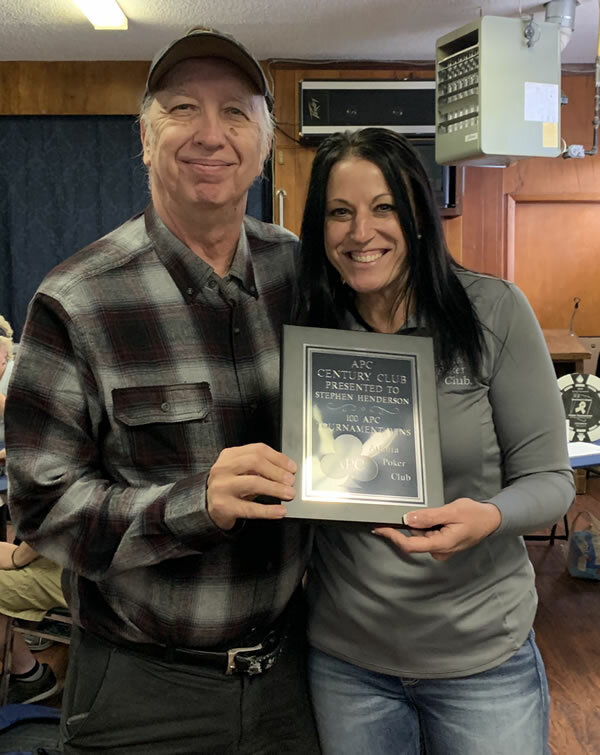 Sammy Wall – 12th APC Member Inducted into the APC Century Club. Earned in June 2018. 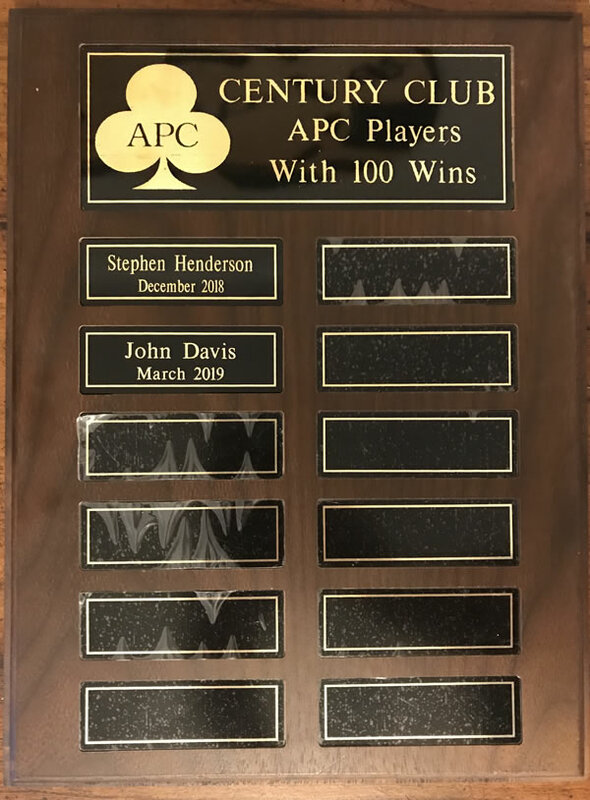 Stephen Henderson – 13th APC Member Inducted into the APC Century Club. Earned in December 2018. 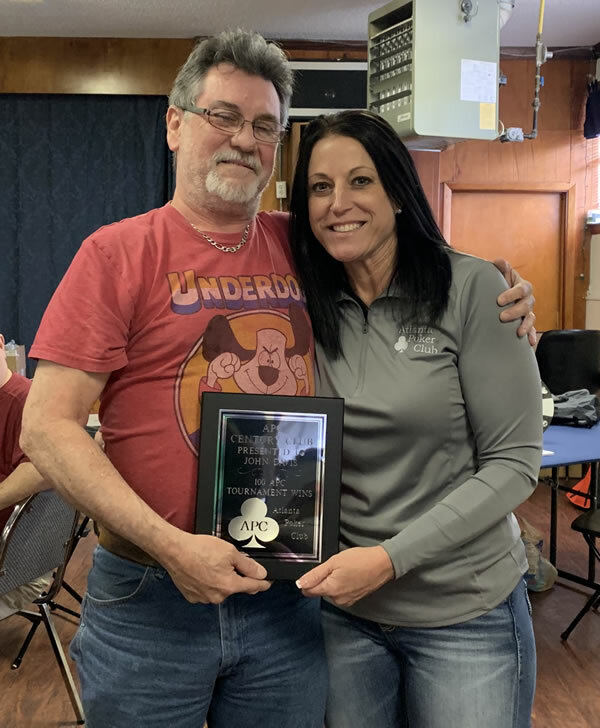 John Davis – 14th APC Member Inducted into the APC Century Club. Earned in March 2019.